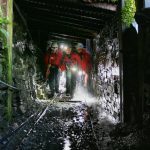 Incident Details: The Team were requested to assist an 80 year old man with chest pains, climbing Barrow just outside Braithwaite. 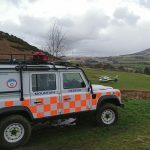 There was some difficulty in establishing the exact location, but the first Landrover set out for High Coledale, whilst the second vehicle went to High Braithwaite. Fortunately, Helimed 58 was able to land close to the casualty, and after assessing him, just needed the Team’s assistance to carry him to the aircraft. The Air ambulance then transferred the patient to the Cumberland Infirmary for treatment. The Team assisted other members of the party down, and gave them a lift to their transport. 12 Team members – 1 hour 33 minutes.